Temperatures hovering around -27C haven’t stopped 500 daredevils from joining an annual winter Moscow bike parade. These brave-hearts all managed to do it and no one got chilblains! 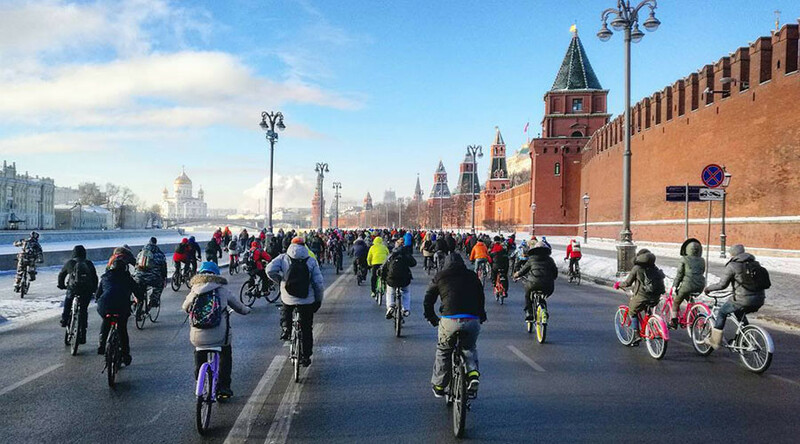 “Despite orange danger level in the capital due to heavy frosts, the organizers decided to hold [the winter bike parade], which gathered a total of over 500 participants,” the Moscow Transport Department said in a statement. The route went along the embankments of the Moskva River from the Kremlin and back. The average speed of the bikers was 14-15km per hour. Emergency services and doctors were on hand during the race, but luckily, no one was injured or received chilblains during the race. “To all participants: You did it! You made this day the best day of winter,” the organizers, ‘Let's bike it!’ Group, wrote on Facebook. 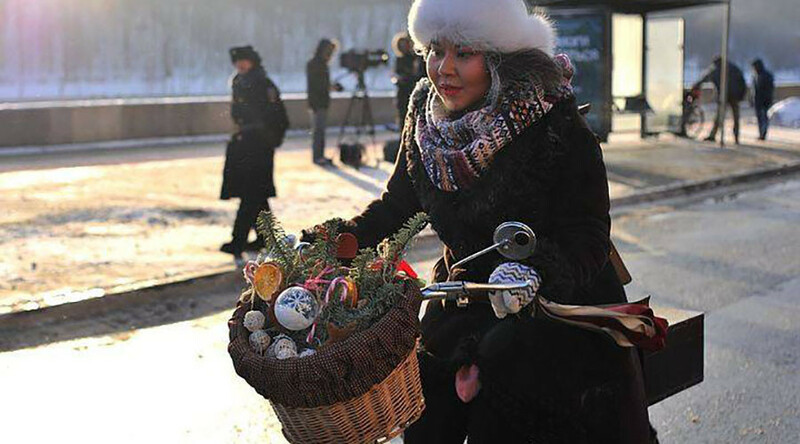 “It was [an] amazing Moscow winter bike parade! About -25°С, 14 km along Moscow River and I am still alive! I am proud of everyone who found themselves brave enough to participate in this event with me,” one person wrote on Facebook. One woman who took part in the parade added her photo on the bike and wrote: “Wow, I am cool, I am proud of myself.” According to her Facebook page, she and her family switched from cars to bikes to protect the environment. 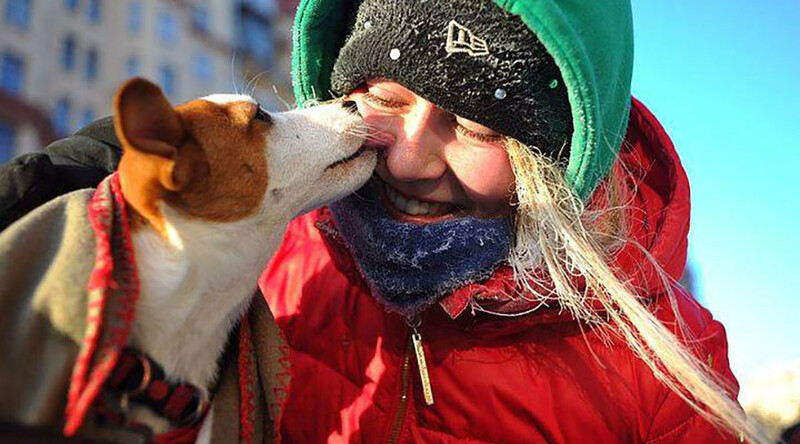 Some people on social media joked about the race, saying that nothing will ever defeat Russia, even the bitter cold. “This country will never ever be conquered,” wrote one person. The participants noted that sunny weather contributed to their mood during the bike parade. “What was it? Madness? Bravery? Well, you can decide yourself,” wrote one more participant of the bike parade. People on social media who apparently did not participate in the bike parade still praised the 500 brave people who did. “Well done! 300 brave guys! The bravest ones,” a Facebook user commented under a post of the bike parade. There were some, however, who complained that it was so cold, their hands and feet were freezing and they could not feel some parts of their body. One man regretted that there were very few girls at the parade. 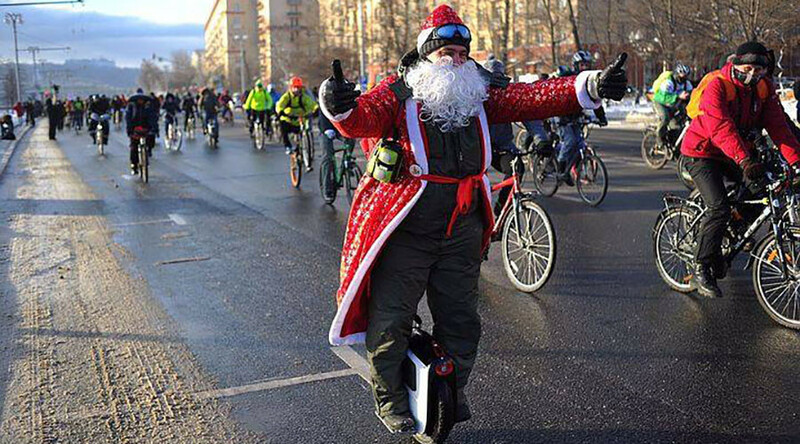 This is the second winter bike parade held in the Russian capital. The first took place in January 2016 – with much milder temperatures.